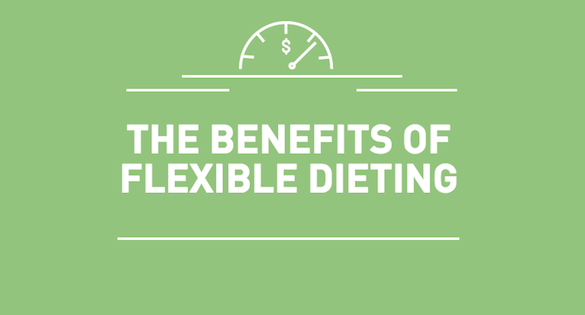 One of the benefits of flexible dieting is its flexibility. Shocker. Bet you didn’t see that one coming. On a more serious note, not a lot of people take the flexibility of a diet into account. One doesn’t have much leeway in terms of food options on the chicken soup diet or a protein sparing modified fast (PSMF), which is basically just all lean proteins and no carbs or fats (more on PSMF in another article). Diets can fail when it doesn’t allow the user enough room to adjust. With flexible dieting, you can go about your daily activities and just be mindful of your intake by tracking your food as you go. If your boss orders lunch for the team, no worries! Enjoy your meal and estimate the caloric content of your meal later on MyFitnessPal. If you’re going to order Mcdo delivery with your family, no sweat. Just try to figure out what you can order that will still fit your macros. Unplanned meals aren’t ideal. Fast food is definitely not ideal. However, they are realities that most people deal with on a regular basis so knowing how to stay accountable even with these unplanned events is what will make a difference in the long run. Not only is this kind of eating pattern unhealthy, it’s also counterproductive if you are gaining (bulking) or losing (cutting) in phases. You can’t build muscle properly if you’re constantly doing damage control from binge eating in the same way that you can’t consistently lose weight/burn fat if you’re overeating every other day. Binges are usually brought about by restriction. Restriction of calories and food choices can lead to a disordered relationship with food. By not putting yourself in a situation where food labels such as “clean” and “junk” rule your eating habits, perhaps you can make better long-term choices. Instead of telling yourself not to have your favorite food and then binge on it when it’s placed in front of you, why not just have it every once in a while in controlled quantities if it fits your macros? Like with other diets that put you in either a caloric deficit or a surplus, you will also lose or gain weight respectively. Tracking your macros takes the guesswork out of how much or how little you’re eating and gives you control over your body composition. Of course quality of food is also important, and by all means if you want to consume all your calories in the form of whole foods, you are free to do so. In fact, that’s best in terms of overall health. However if you have a hard time doing that and would like to have some less nutrient-dense foods or “junk” once in a while for your sanity, you could also do that without having to sacrifice your goals with the help of IIFYM. Some will go a full week of “clean foods” and do a more flexible weekend—that’s fine. Some will eat “bro foods” all day and have a “junk” dessert as their post-workout—that’s fine. It’s all about balance and making it work for you.